Military History Books, AN ILLUSTRATED HISTORY. 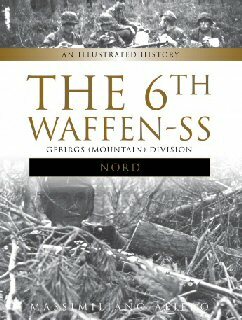 THE 6TH WAFFEN-SS VOLUNTEER GEBIRGS (MOUNTAIN) DIVISION "NORD",Massimiliano Afiero,Schiffer,ISBN 9780764353277, HINDU HORSEMAN,Lieutenant-Colonel Denzil Holder,Picton Publishing,ISBN�0948251182,Skinner's Horse, OSPREY NEW VANGUARD 235: KATYUSHA. 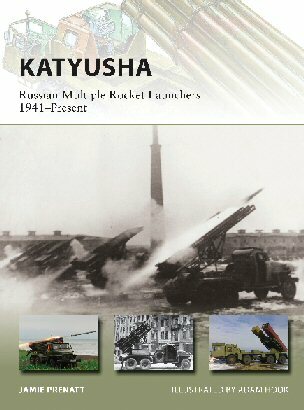 RUSSIAN MULTIPLE ROCKET LAUNCHERS 1941-PRESENT,Jamie Prenatt. 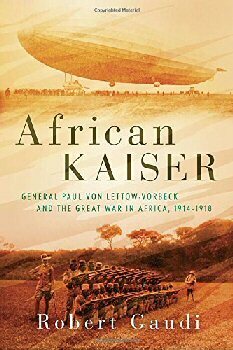 Illustrated by Adam Hook,�ISBN 9781472810861, AFRICAN KAISER,by Robert Gaudi,MacMillan,ISBN�9780425283714,General Paul Von Lettow-Vorbeck and the Great War in Africa, 1914-1918,Schutztruppe (Defensive Force), IN THE CLOUDS ABOVE BAGHDAD,Lieutenant-Colonel J. E. Tennant,Naval & Military Press,ISBN�9781845741075,1916-18 air war over Mesopotamia. Formed in 1941, "Nord" was employed along the Finnish−Lapland front against battle-tested Soviet forces from 1941−44. Following the signing of the armistice between Finland and the Soviet Union in the summer of 1944, the division was moved to the Western Front. "Nord" took part in Operation "Nordwind" the final German offensive on the western front in late December 1944, where they fought against American units for the first time. Tough defensive fighting along the Moselle and Rhine fronts followed up to the armistice in May 1945. The units of the division fought to the last, always with courage and valor. Includes a detailed operational history, rare combat images, maps, and personaly profiles. The reminiscences of a Cavalry Officer of that most famous of Indian Regiments, Skinner's Horse. Soldier, horseman and polo player, Holder saw action in WWI. He recounts the balmy years between the wars on the North West frontier and tells of the beauty of Kashmir. In WWII he was badly wounded in action in North Africa. Although military rockets have been used since the Middle Ages, it was not until the Soviet Union pioneered the concept of Multiple Rocket Launchers (MRLs) in the late 1930s that they emerged as a decisive weapon. In the modern era, these Soviet/Russian Katyushas have served in combat in Afghanistan, Chechnya, and Georgia. Developed to fill the operational need for massed artillery fire support, the MRL possesses enormous destructive power and a devastating psychological impact. This New Vanguard provides a survey of Soviet and Russian Federation MRLs from the beginning of their development in 1941 to the present. General Paul Von Lettow-Vorbeck and the Great War in Africa, 1914-1918.As World War I ravaged the European continent, a completely different theater of war was being contested in Africa. And from this very different kind of war, there emerged a very different kind of military leader. With the now-legendary Schutztruppe (Defensive Force), von Lettow-Vorbeck and a small cadre of hardened German officers fought alongside their fanatically devoted native African allies as equals, creating the first truly integrated army of the modern age. Von Lettow-Vorbeck was the last undefeated German field commander of the war. A memoir of the 1916-18 air war over Mesopotamia. 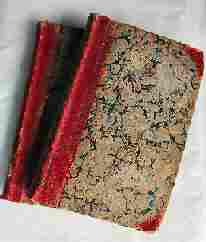 The author was an RFC officer whose secondment to the Middle East in 1916, came as a relief after the squalor of the Somme. His account of his and his comrades' operations flying against Turkish and German aviators is dramatic and hugely informative. The narrative describes combined operations with army, and naval units operating along the Tigris and Euphrates rivers and how Tennant survived being shot down in his DH4 aircraft.